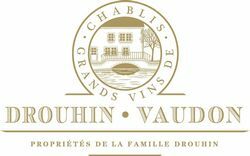 Site: on the right bank of the Serein River, which flows through Chablis and its region. Located in the north west corner of the Grand Cru slope. It has a remarkable south east exposure and the steepest slope of all the Grand Crus. Surface of the Domaine: 0.4 ha (0.998 acre). Average age of the vines: 27 years. Soil Maintenance: age-old methods. Plowing: buttage (hilling up around the vine-stocks) in autumn; débuttage (plowing back in spring); work between the rows and the vine stocks done with manual tools only. Average yield at the Domaine: 47.3hl/ha (the yield currently authorized for the appellation is now 54hl/ha). "A delicate and ample wine, easy to appreciate. The pale yellow color is very pure, with light green reflections. On the nose, floral aromas of acacia harmonize with vegetal notes of fern and coriander. he aromas on the nose are amplified when the wine is in the mouth, together with new notes of orange or lemon marmalade. It has a soft, round, well balanced body. The aromas of fruit are enhanced by intense mineral notes evolving towards a slightly smoky flavour. Beautiful length on the aftertaste".